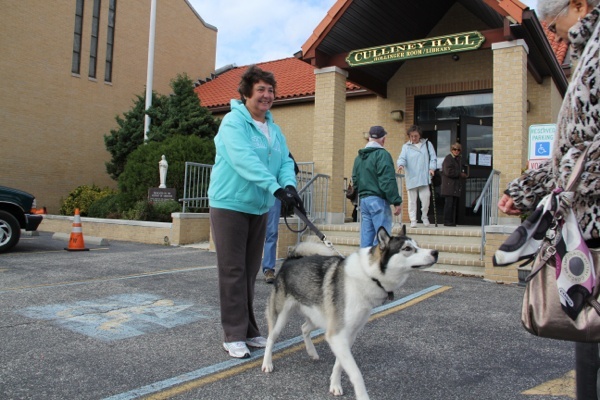 Voting turnout is high according to one poll worker at the Ventnor Community Building on Atlantic Avenue. Also, the line of voters was getting longer at between 3:15-3:45 p..m. But voters here are also swapping storm damage stories with one another. 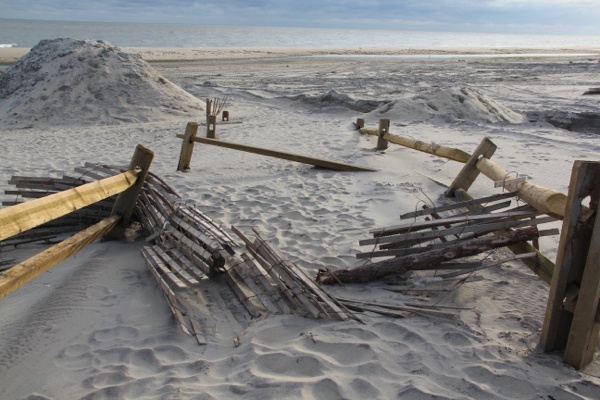 Ventnor, just south of Atlantic City, is one of the many New Jersey shore towns that were hit by Superstorm Sandy last week. Many here are still without power. One example of this is the intersection light in front of the polling location is out and there’s policeman directing traffic. 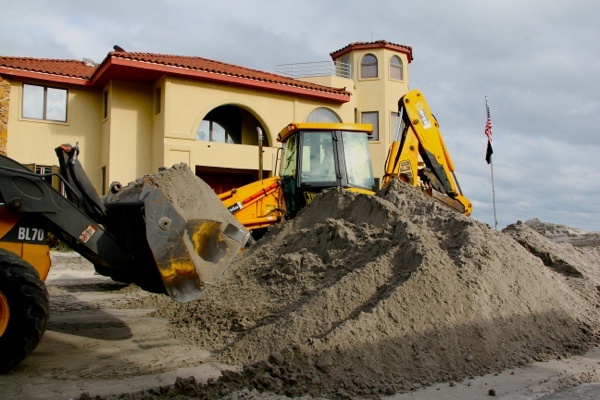 Because of the widespread power outages, four voting districts are voting in this Ventnor building that on any other election day would have just two districts.The streets in Ventnor still some sandy spots, left over from the big storm. 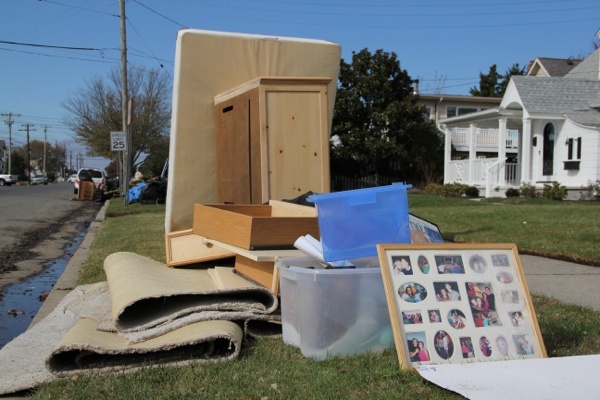 There are some discarded couches and rolled up carpets lining some of the streets. The Brick Township Office of Emergency Management is monitoring a Nor’ Easter that has the potential to strongly impact our town with high winds, storm surge and flooding. The Brick Township Office of Emergency Management has issued a Mandatory Evacuation for all residents that reside in the low lying waterfront areas of town that are prone to flooding and/or storm surge by Tuesday November 6, 2012 at 6:00 P.M.
New Jersey has extended the deadline for email voting for displaced residents. The Division of Elections has issued a new directive that gives displaced voters until 8 p.m. Friday to return email and fax ballots. They still must request the ballots by 5 p.m. Tuesday. The new deadline gives county election officials time to verify and process the requests. They must fulfill the requests by noon Friday. The state decided days ago to allow voters displaced by the storm to cast ballots by fax or email. 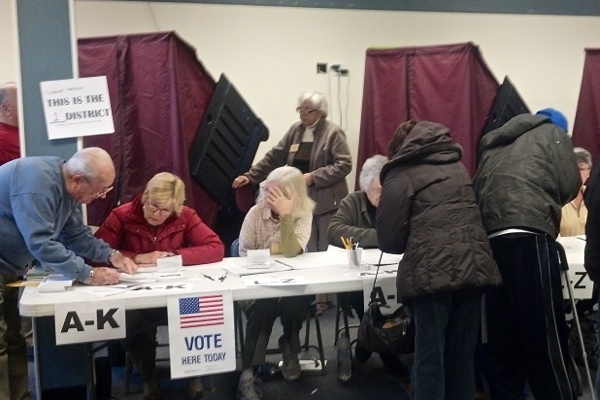 Voters are praising public officials in the Monmouth County Shore borough of Belmar for their intensive efforts to alert the community about changes to their polling places. 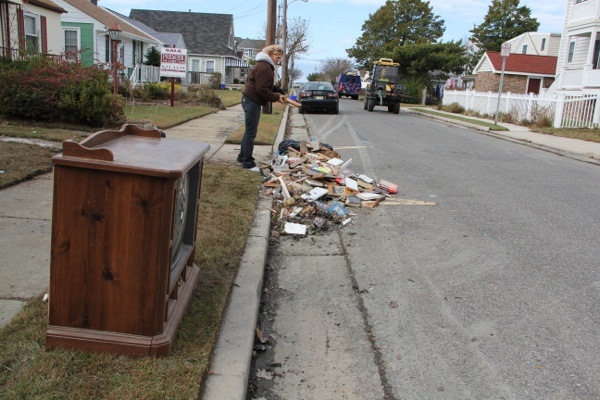 Throughout the week, officials in the borough of 5900 year-round residents have been communicating with residents via Twitter, Facebook, text messaging, mail, automated phone alerts, website announcements and old-fashioned flyer distribution in the town square to keep residents abreast of storm recovery efforts. Today they continued with their system of alerts to tell all 3600 registered voters that the borough’s four polling places had been consolidated into one. The result is a relatively quiet room for voting in Borough Hall, where voters experience little to no wait time as they are directed to check in at a table designated for each of the individual precincts. 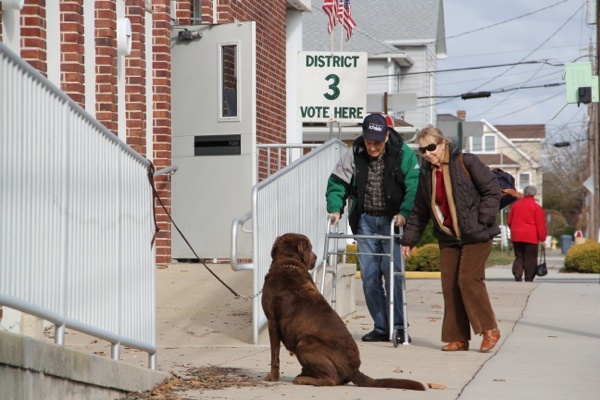 Although a few voters expressed dissatisfaction that they and their elderly friends had only been notified of the changes by a sign posted at their regular polling place, most voters said they were pleased with the organization. Democratic exit pollsters said although they’d encountered a large number of cleanup volunteers from outside the area, everyone from Belmar who’d walked by Borough Hall – also the site of a community gathering point for meetings with FEMA and distribution of food and supplies – was in fact casting a vote. Among the voting community, which is split evenly between Republicans and Democrats, the reported votes for president were also running even between Romney and Obama. 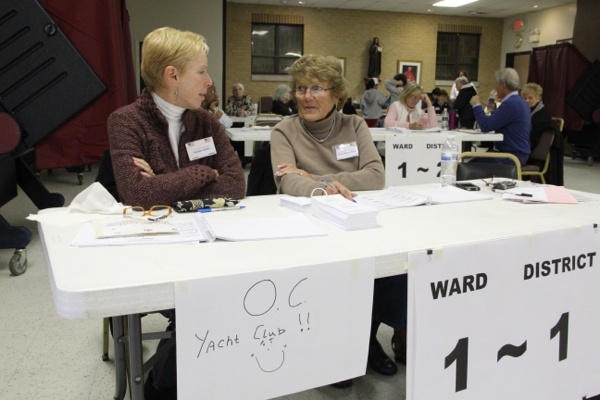 The quarters are a bit cramped, and district election judge Betty Ann Powell said the process a bit more chaotic than usual, but voter turnout was good. “The word is out,” Powell said of the changed polling location. Voters said they heard about the changed location from news reports or neighbors. 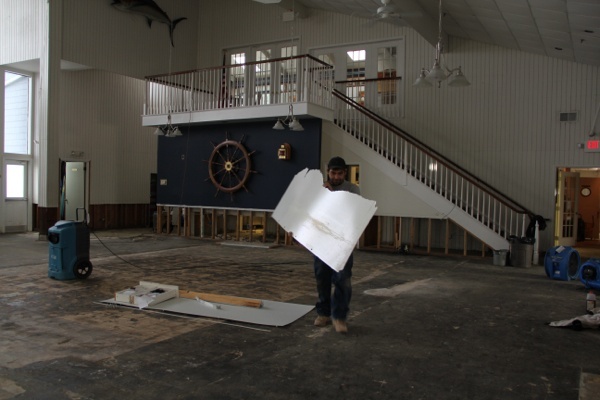 The Ocean City Yacht club, the usual polling location for one district, was being gutted by work crews on election day after being swamped with water from superstorm Sandy. 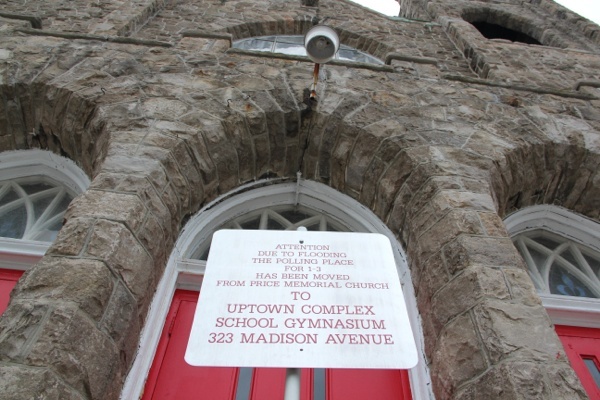 A large flashing road sign alerted voters of the alternate location at the church, several blocks away. 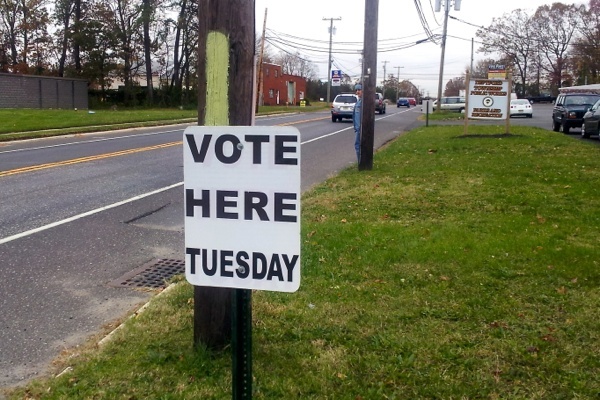 Three polling locations in Atlantic County were also moved due to storm damage. 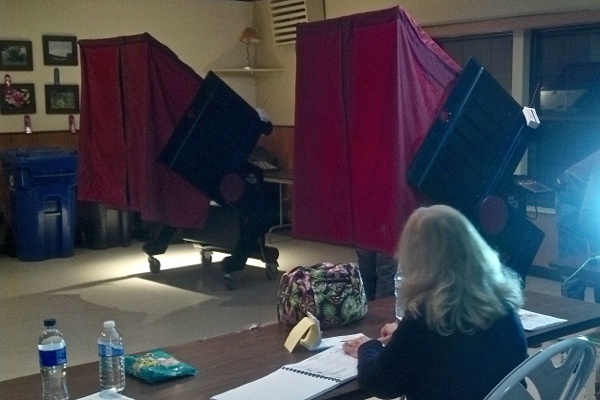 At District four in Margate, voters cast their ballots in the auditorium of Union Avenue School instead of storm-damaged city hall. Voters there got robocalls about the changed location, or visited city hall, a few blocks away, and saw a sign noting the new location. 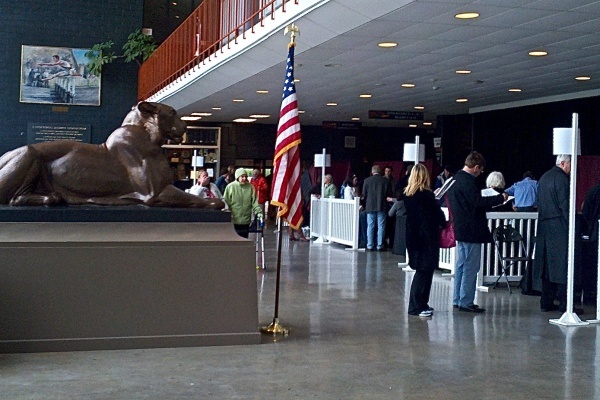 A poll worker reported about a third of registered voters had cast their ballots by 1 p.m. 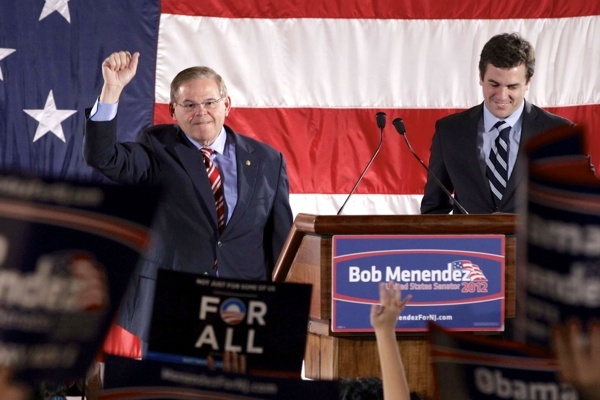 They also reported more than the usual number of provisional ballots, which displaced New Jersey residents can cast at any polling location in the state. A FEMA official was also posted at the Margate polling place to give residents information about how to apply for assistance from storm damage. 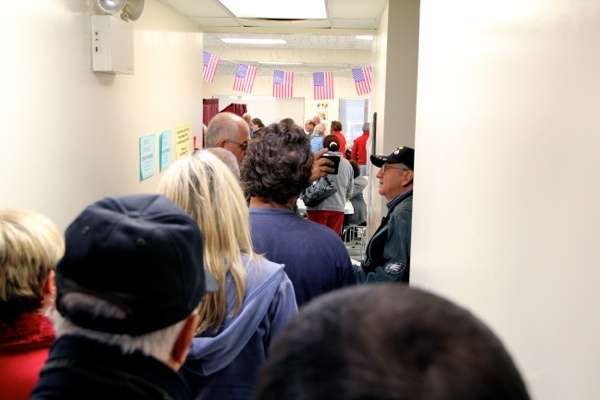 Associated Press reports the lines are long in Point Pleasant, N.J., where residents from the Jersey Shore communities of Point Pleasant Beach and Mantoloking had to cast their ballots because of damage in their hometowns. 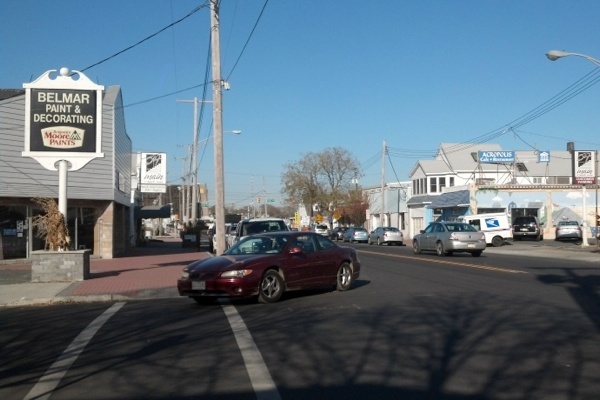 In Belmar, Monmouth County, a seaside community where at least 70 percent of 5900 year-round residents still lack power, turnout has been steady at the borough’s sole consolidated polling place. Residents have streamed into a room in borough hall all day, checking in at tables designating their normal precinct. 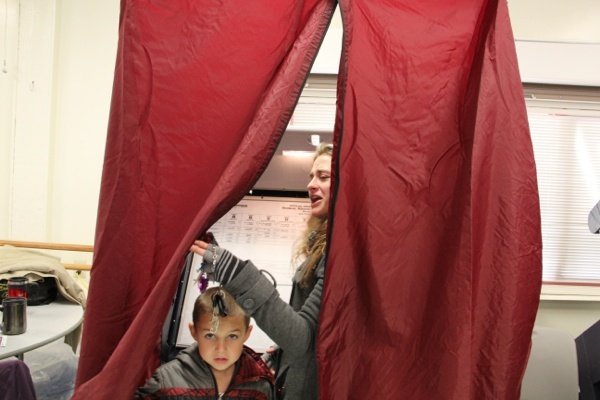 Although some of the four usual polling places would be equipped for voting today, even under these unusual storm circumstances, officials decided to conserve limited resources by moving everything to one place. Voters were notified of the switch by mail, by phone and by flyers handed out around town all week. 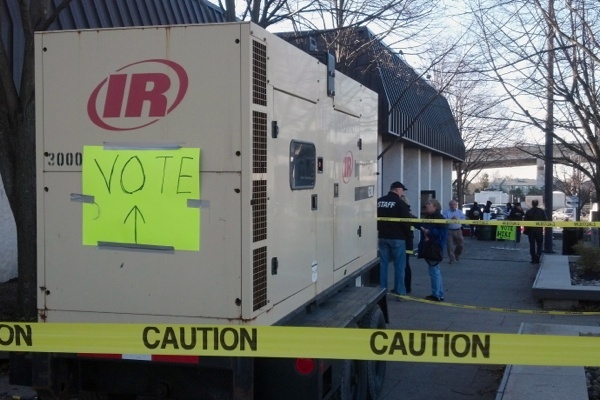 Plus, there were signs posted at all normal polling places. By most accounts, the process is extremely organized. “I didn’t have to wait long, and I commend the mayor for his efforts,” said Johanna Robinson, who brought her brother to vote and was planning to return with her father later in the day. Voting is taking place amidst a flurry of activity at Borough Hall, where officials have set up a distribution center for clothing, food, and cleaning supplies, as well as a check-in point for cleanup volunteers, and FEMA officials are on hand to provide information. 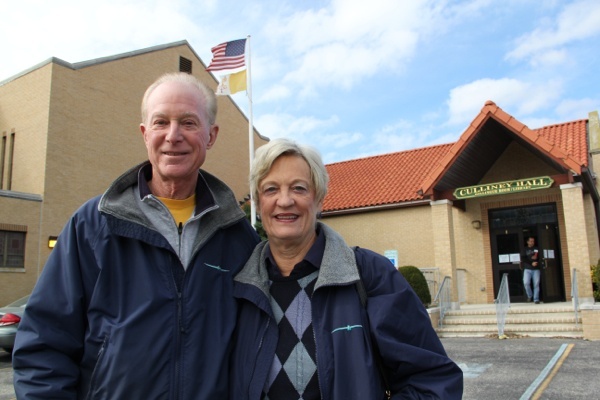 Outside the resource area, Red Cross volunteers served hot lunch, and outside the voting room, a pair of brothers who spent childhood summers in Belmar set up a cooking station to give out free chili and hotdogs. At mid-morning, cars were circling around the designated parking for a temporary polling station set up on Princeton University’s campus. 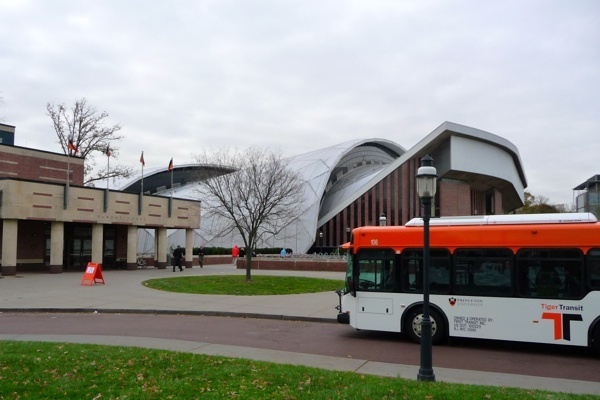 Seven voting districts that affected by power outages from last week’s storm have been relocated to the Jadwin Gym on campus. That’s producing more voters more than the parking lot could handle. Inside the entrance of Jadwin Gym Linda Koepplin, watching over District 2 as an election observer, said this was not the usual voting location. 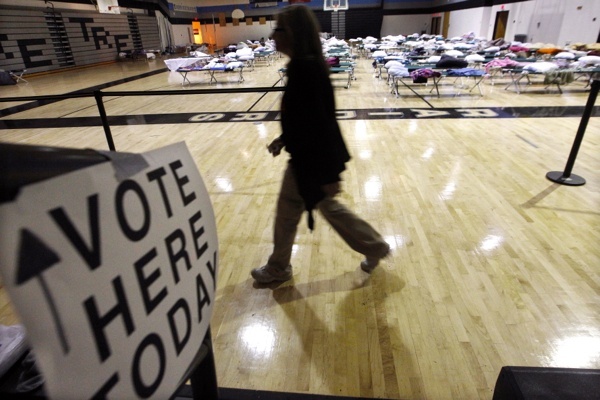 “Our normal polling place was without electricity. This is all a direct result of the hurricane.” she said. Turnout has been strong at Jadwin Gym. At the three polling places inside the old public works building, the morning traffic was brisk. Not a huge turnout but a steady stream. The mood was excited and friendly, and coloring books were being handed out to children who were waiting in line with their parents. We have set up a NJ Voter Problem Hotline — 732-903-VOTE — where you can leave a message of what kind of problem you’re experiencing. This will be monitored by students at Montclair State University during polling hours on Tuesday, 6 a.m. to 8 p.m. to be used by news organizations of hotspots. The state is operating its own hotline — 877-NJ-VOTES — which provides prompts in English and Spanish to help with voting. While we will also give help to confused voters, our effort is focused on recording the problems as they come up. To get official help, with a voting problem, call this state number. 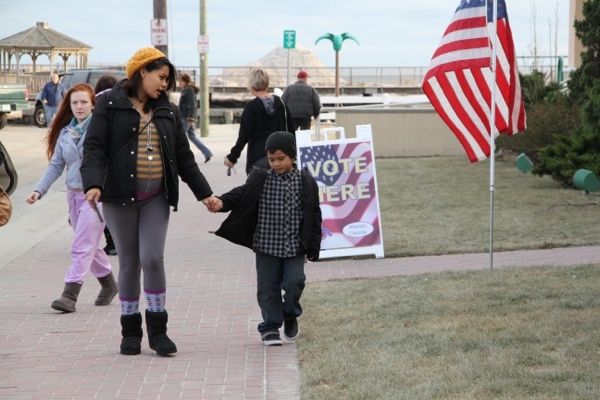 We have set up a Crowdmap — NJVote.crowdmap.com — where voters can record their voting problems. Our student operators will also map voting problems recorded on our hotline. 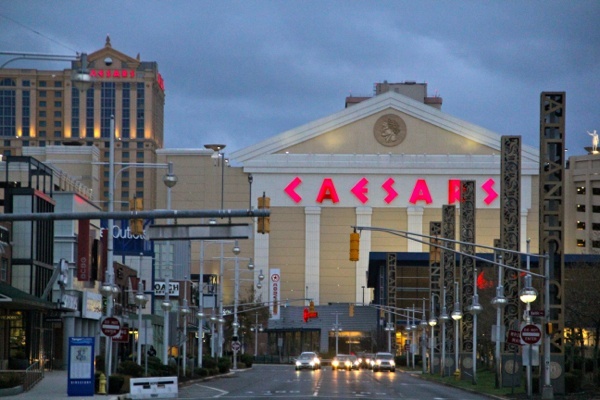 NJ News Commons has a live blog — #NJVote — which will pull in the latest tweets, photos, stories and official updates on the voting situation on Tuesday.